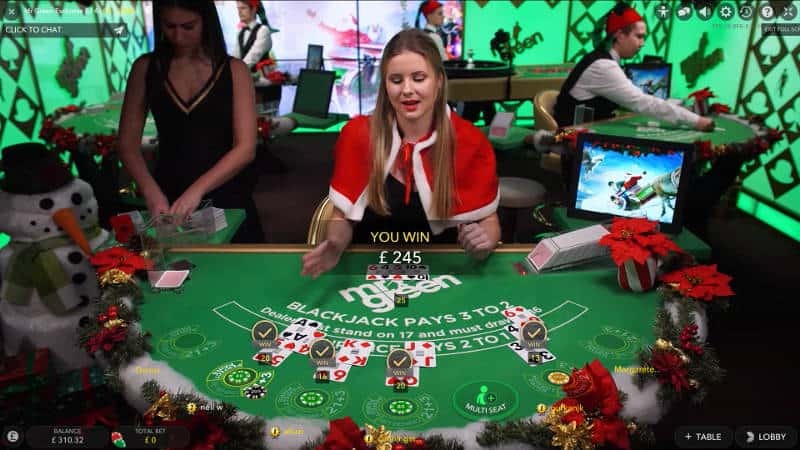 I thought it would be nice to share my nice live blackjack side bet win from last night and discuss why I play the side bets on Blackjack. I’m not sure what the “real odds” are for hitting a Straight Flush when playing the 21+3 side bet on Live Blackjack. But I do know that it should pay more than 40:1! and one in March 2018 at Bet365 with a lovely King, Queen, Jack of Hearts. I wasn’t betting particularly big on either game, but both hits made my evenings as I went on to make two nice withdrawals. Why do I play Side bets? I know that playing side bets on blackjack is really a sucker bet. Over the long term you’re going to lose. But I still play them because I love the additional rush you get when you hit. I’ll sit there screaming Jack, Jack, Jack if I’ve been dealt a King, Queen and it’s worse if they are suited. You should have heard me when playing at the Bet365 table! 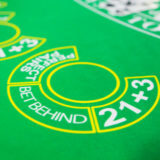 I normally only play the 21+3 Poker derived side bet when playing Blackjack. You get paid if your first two cards and the dealers up card form a poker hand. Three of a Kind 30:1. I say theses are normal payouts but they are not consistent across live casino providers. The two above refer to Evolution and Playtech Live Blackjack. The other suppliers payout less, for full details see my blackjack side bet comparison table. Which is why I only blackjack side bets at Evolution and Playtech casinos. It all depends, I can be playing for an hour and get nothing. Other times I might get a few flushes and the odd straight. What you should do if you want to play them? You really need to have a large chip stack, so you can ride out the losing hands. 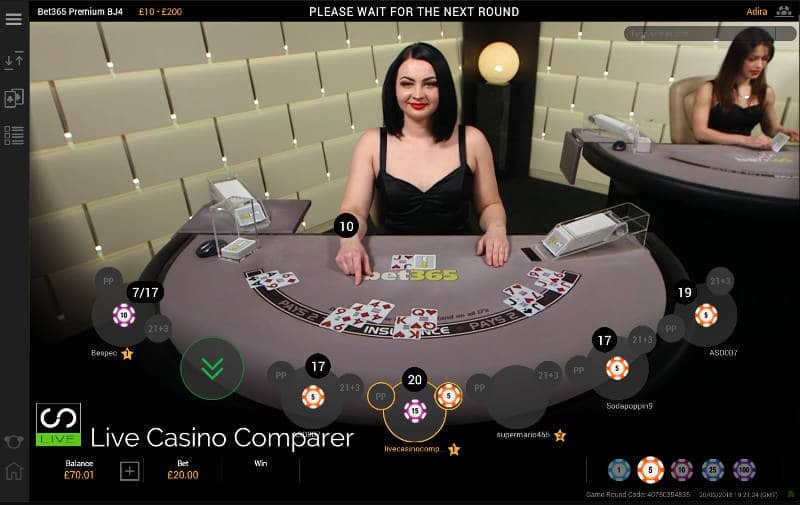 I foolishly always sit down with £100 and play £15 on the main hand and £5 for the side bet. Playing this way I only have 5 losing hands in front of me, so some evenings it’s over before it’s begun. Using this strategy is flawed I know. My overall bet is £20, if I lose the side bet and win the main hand I make £10. I know it’s a win, but my chip stack soon goes if I have some losing hands. So that’s why I’d advise you to play with a bigger chip stack or bet smaller. Make sure you have a bigger differential between your main bet and the side bet. I never play these primarily because I don’t play with a huge chip stack. The payouts are quite good when you get a hit. I often see suited pairs that pays 25:1, coloured pairs pay 12:1 and a mixed pair 6:1. Playetch Casinos let you bet on the Dealers pair as well as your own, so that’s something to watch out for if you like to mix it up. I love it when I win. I just wish the playing interfaces would acknowledge it in some way. I want fireworks, shooting stars, a fanfare, something – anything would do. 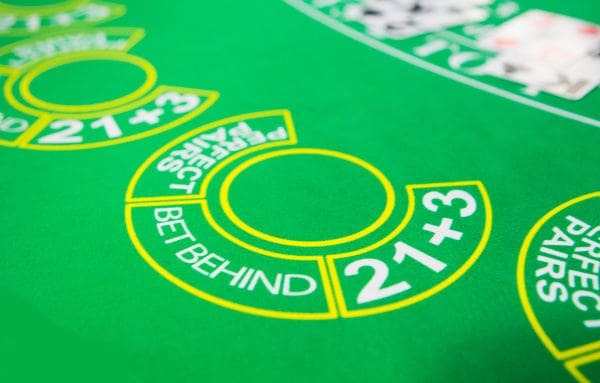 Nothing, a big fat nothing and that is the worse bit about betting on the side bets when playing live blackjack!